Eurosatory, The 2014 Land and Air-land Defence and Security Exhibition, is one of Europe’s premiere exhibitions of military, defense and homeland security products in the world. 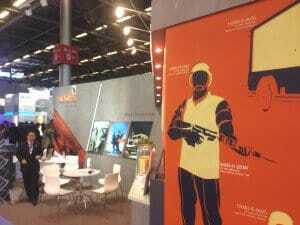 The 2014 show, held in Paris from June 16th to the 20th, attracted more than 1,500 vendors from 50 countries around the world. Held every two years, the event draws the top firms in military and defense products. More than 60 percent of vendors in 2014 were displaying products that had dual use in both military and security applications. 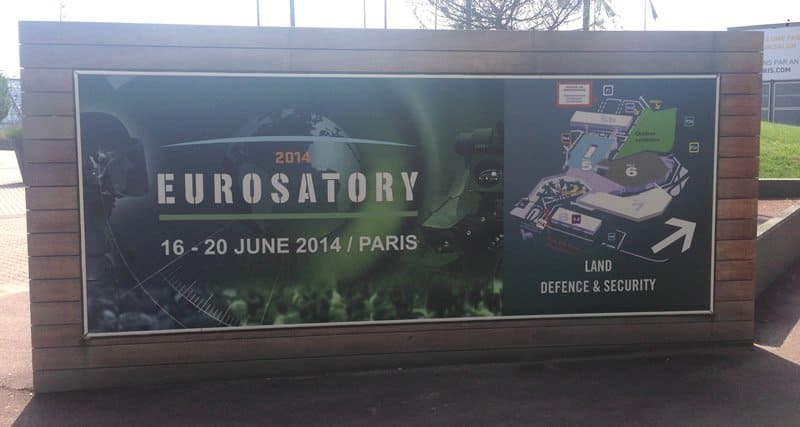 Eurosatory attracts products and systems used by security forces, police, emergency responders, civil service units, along with customs and border security. This year the exhibition featured some exciting new ballistic products including a new transparent ceramic from CeramTec which, used in conjunction with bulletproof glass, will reduce the thickness of ballistic windows by more than 30 percent. 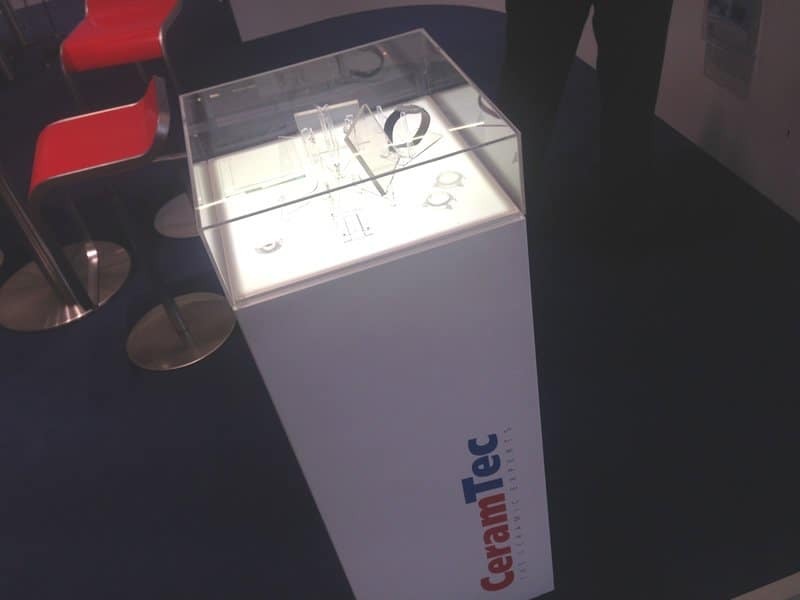 Dupont displayed its Ultra High Molecular Weight, High Performance Polyethylene Material (UHMWPE) called Tensylon™ HSBD 30A. Tensylon has applications in body armor and various designs of mine-resistant vehicles like the MRAP. High performance materials like Tensylon offer armor solution providers with a product that’s light, durable and cost effective. 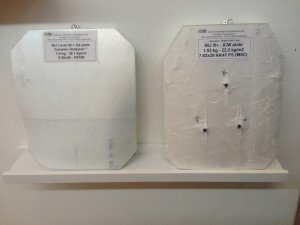 South Korean heavyweight, Hyosung, a relatively new player on the ballistic fabrics market, was there to display its new ALKEX p-Aramid ballistic fiber. The Hyosung ALKEX fiber offers an interesting alternative to manufacturers producing ballistic products with aramid blends. One of the more popular products at Eurosatory this year was the CESAR truck-mounted artillery system developed by French-based Nexter Systems. The 155mm 52-caliber self-propelled gun is popular with the French military and countries like Saudi Arabia and Indonesia. With rocket-assisted shells the CESAR mobile gun has a range of more than 30 miles. Another product attracting a lot of visitor interest was SPEAR, developed by Elbit, a mobile 120mm soft-recoil mortar that can be mounted in a light field vehicles and even boats. With an effective range of 7 Km and five round per minute rate of fire, SPEAR is able to provide lightly equipped forces with highly accurate ground fire support. Also on display were new armored vehicles and armored personnel carriers by Czech company SVOS and General Dynamics. 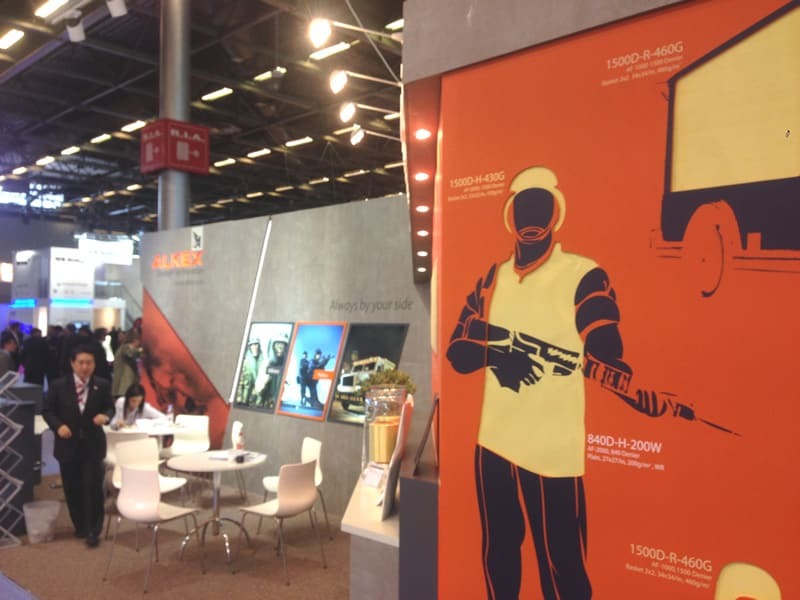 Besides solutions for the security industry Eurosatory also provides a platform for seminars and conferences on a wide variety of security related issues. Attendees could choose from conferences on multi-sensor assets, acoustical support, tactical air-ground coordination, unmanned aerial vehicles and cyberspace operations.